As fall marathon training season ramps up, a sports medicine doctor has tips for how to spot runner's knee, what causes it and how it can be prevented. WASHINGTON — Injuries are a risk with any athletic activity, and running is no exception. While strains and sprains can happen to runners, “runner’s knee” is one of the more common injuries that befall the group. As training ramps up for thousands of people getting ready for the Marine Corps Marathon in October, Dr. Wiemi Douoguih, medical director of MedStar Sports Medicine, shared tips for spotting runner’s knee, identifying its causes and preventing it. “Runner’s knee” is a catchall term for numerous conditions that cause knee pain. Most of the injuries are “attritional injuries that occur over time, and once they get above a certain threshold, either pressure on bone and cartilage and other tendons results in pain,” said Douoguih, who also serves as the head team physician for the Washington Wizards. Runner’s knee is more common in people who participate in sports that involve running and jumping, according the Mayo Clinic. 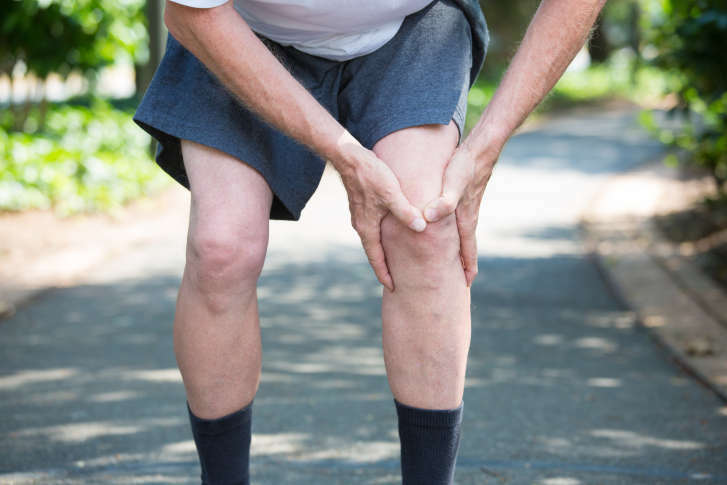 It is usually marked by a dull, aching pain in the knee that is aggravated when walking up or down stairs, kneeling or squatting, sitting with a bent knee for a long period of time, and, of course, running. Treatments such as rest and ice can help, but sometimes physical therapy is needed, according the Mayo Clinic. While runner’s knee may sideline runners, Dr. Douoguih says there’s no need for them to fret. To prevent these types of knee injuries, warming up and stretching can be key, Douoguih said. Additionally, it’s important that runners choose a training plan that is tailored for their skill level, he added. “In general we preach that you shouldn’t exceed your running mileage or intensity by more than 10 percent each week … a number of studies have shown that can increase your risk of injury,” he said. The shoes on your feet can play a role in injury risk, too, Douoguih said. Training with the same pair for too long can lead to injuries. People who are newer to running may be more vulnerable to injuries, Douoguih said. Injury incidents for runners that are experienced tend to be lower — ranging from 3 to 25 percent, Douoguih said; whereas the incidents with novice runners can go as high as up to 85 percent. “I’m sure you have an older family member who told you ‘everything in moderation,’ and that’s great advice for the runner — particularly the novice runner and the casual runner/recreational runner,” he said. Runner’s knee isn’t the only injury that imperils runners: “Ankle injuries, knee injuries, hip injuries are all very common in runners,” Douoguih said. To prevent those and other injuries, runners should check with a doctor to make sure they are healthy enough to exercise — particularly runners over the age of 30 “just to make sure you are generally healthy,” he said.